Even though today would have the least amount of stops of any other day on this trip, we still got up early to compensate for six and a fairly long drive home. 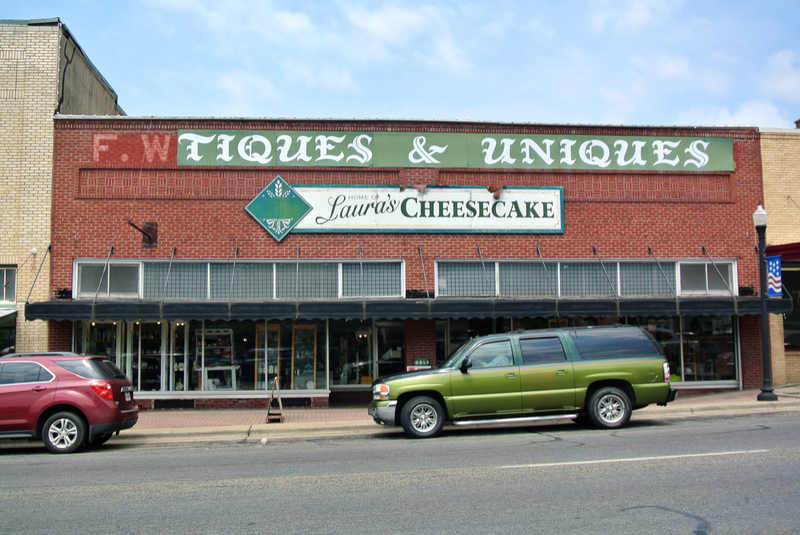 The day began by leaving Longview, heading northwest for the city of Gilmer, seat of Upshur County (#181). 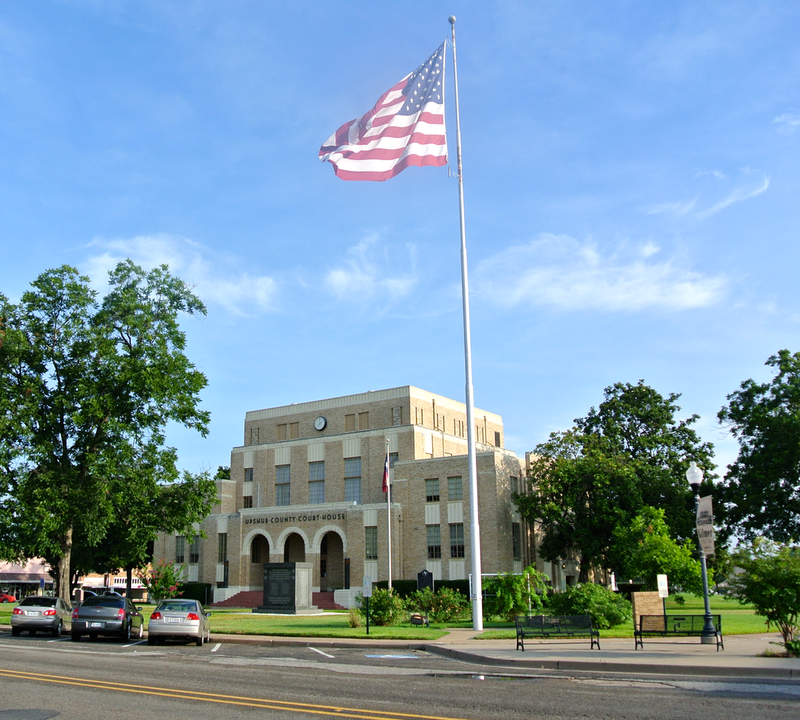 When we pulled into the downtown square in Gilmer, we were greeted by a massive American flag. Truly, it’s one of the largest I’ve ever seen. It’s not the largest ever, but as far as courthouse squares go, I haven’t seen another flag of its size. 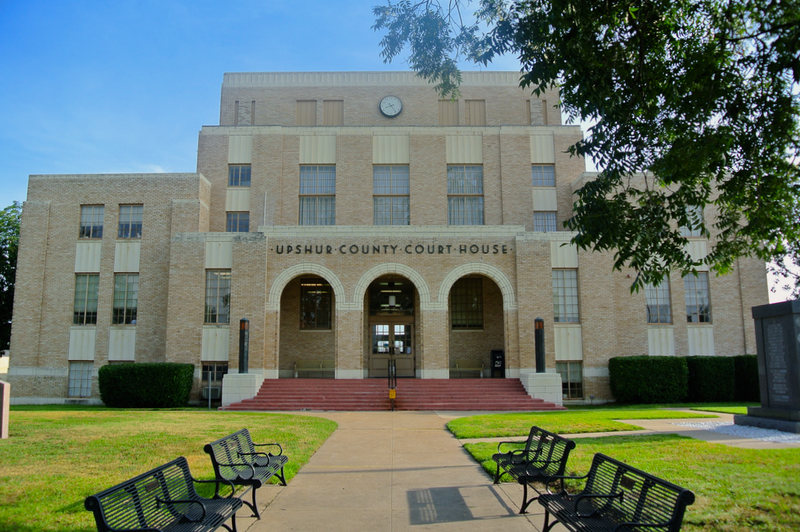 The Upshur County courthouse has not been restored, as far as I can tell. The condition of the building is despairing. Just look at the entry stairs. 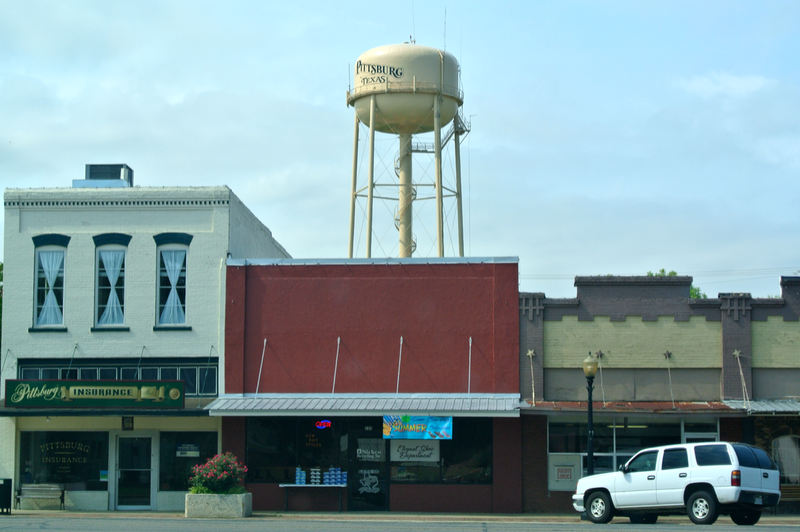 As we headed northeast, away from Gilmer, I kept thinking about how desperately Upshur County needs a boost from the historical commission. 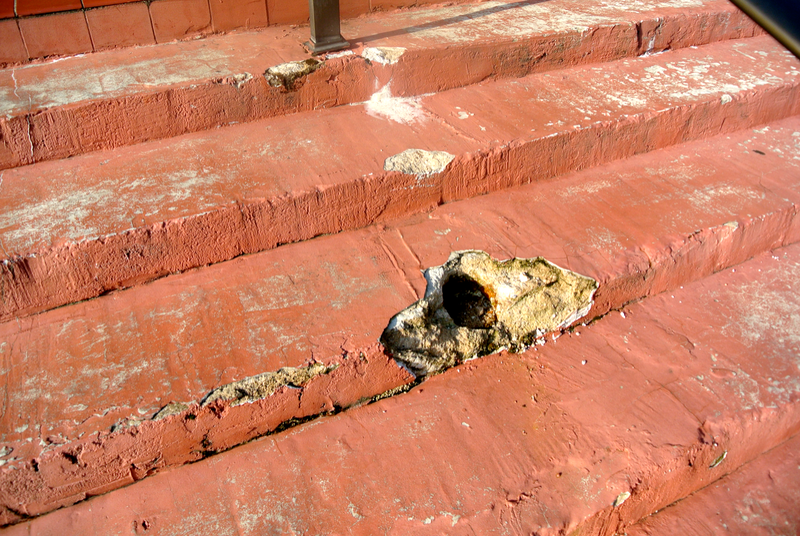 The kind of damage on those stairs, in particular, is what belongs at an abandoned building, not a fully functioning courthouse. Rolling in to the town of Daingerfield, seat of Morris County (#182), we entered a small traffic circle that stands directly in front of our first stop in this city, the retired Morris County courthouse. 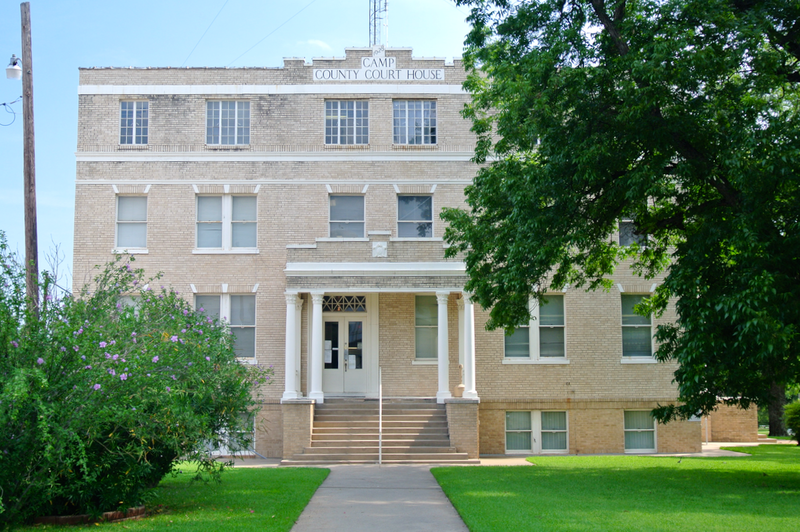 When I first came to Daingerfield (as part of the trip that was deleted), I remember pulling up to this building and thinking it was the courthouse, but instead discovering it was in fact a law office. To my disappointment, I found out that the true courthouse is a 1980s modern “square” on the highway, north of downtown. For a long time, I called the Morris County courthouse the worst there is. That’s almost true. In my opinion, it’s bested for that title only by the Baylor County courthouse in Seymour. 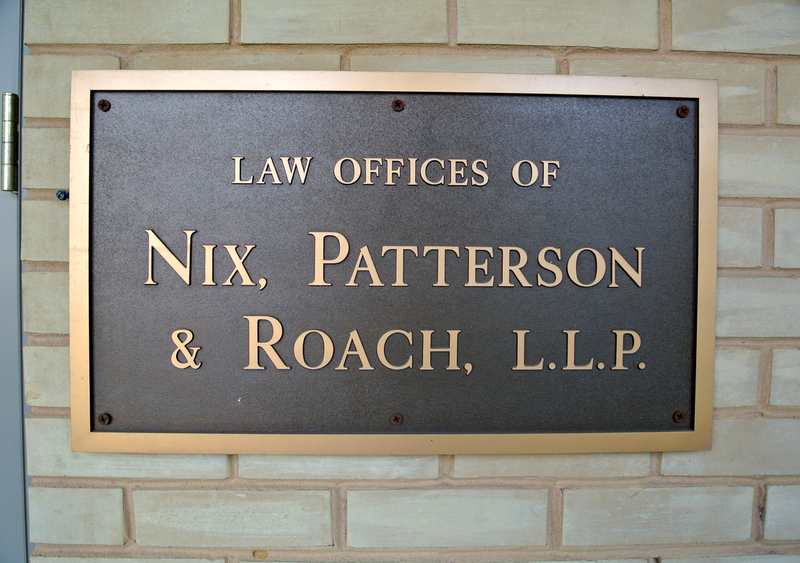 Anyway, after doing a bit of research some time ago, I realized that the building I had taken as “just a law office” was in fact the retired courthouse! I had completely missed this one. Luckily, because I planned on returning to Daingerfield, I would be able to photograph it as well. The railroad passes directly in front of the building, cutting through the center of the traffic circle. 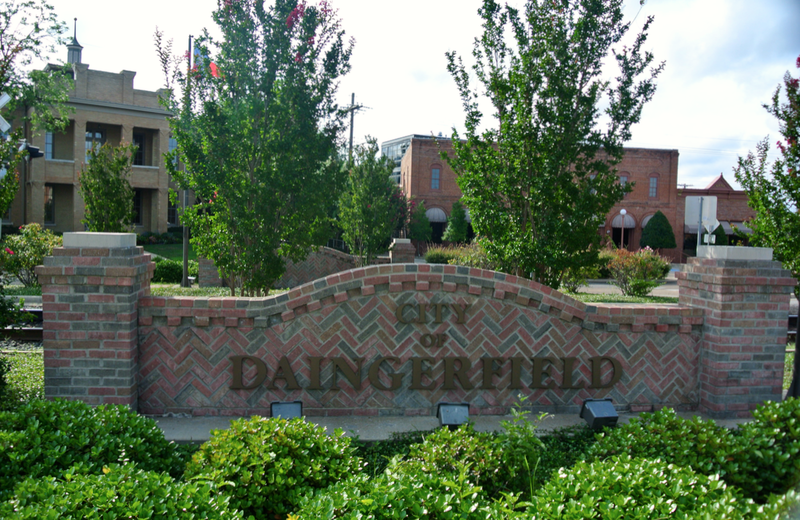 In addition to the railroad, one can find two large signs welcoming people to Daingerfield. 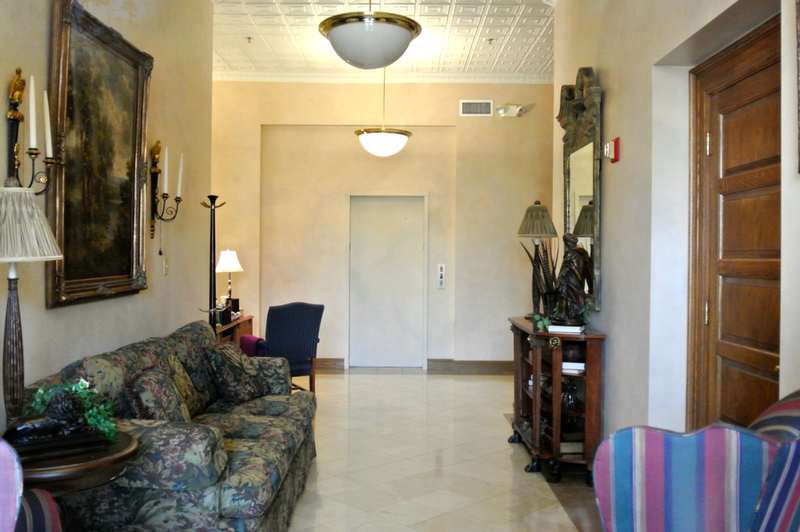 According to a receptionist inside the building, Mr. Nix (one of the lawmen that practices here), purchased the building when it was in a serious state of disrepair and renovated it, changing a good amount of the interior. Unfortunately, I wasn’t able to go upstairs to see where the courtroom might have been, but I was able to take a shot of the entry hall through the doors. Next came the “ol’ metal building” my grandfather and I remembered “fondly”. Indeed, it looked to have changed very little since summer 2011. It’s certainly no Harrison County courthouse. The diversity in court buildings in this part of the state is amazing. 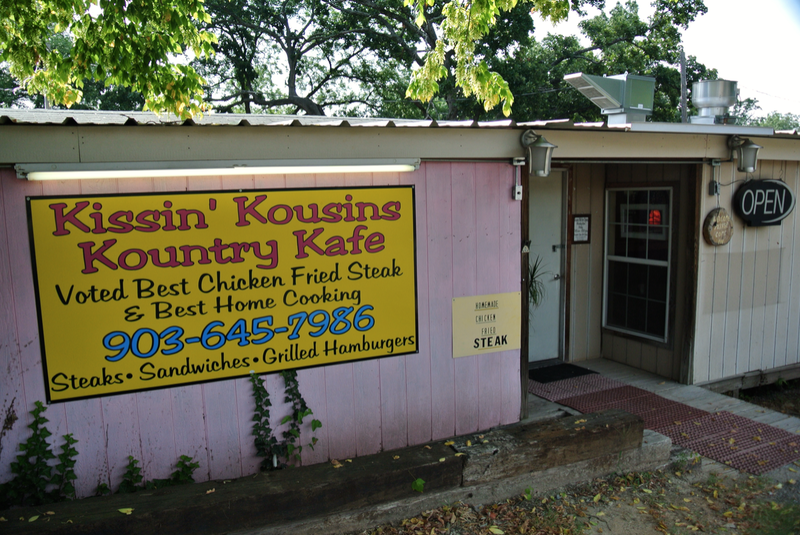 Across the street from the courthouse, I found a restaurant I remembered from last time. 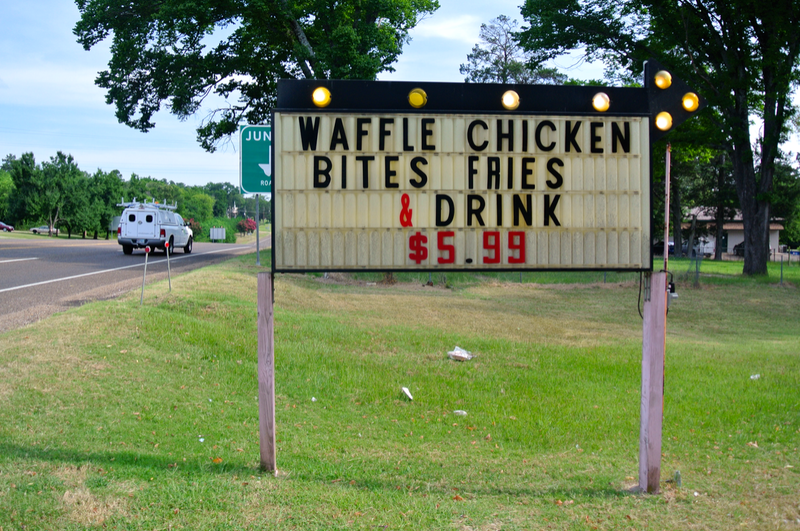 We nearly ate here back in 2011. I was more tempted to try it this time, just for its shock factor-like appeal, but it wasn’t open at the time we stopped by. And so we left Daingerfield, headed west to Camp County and its seat of Pittsburg. Check out the spiral staircase on the water tower. I remembered the courthouse here from the 2011 trip, too. It’s a 1928 model that could also use a “pick-me-up” from the THC, if you ask me. I found the off-centered door to be quite interesting. 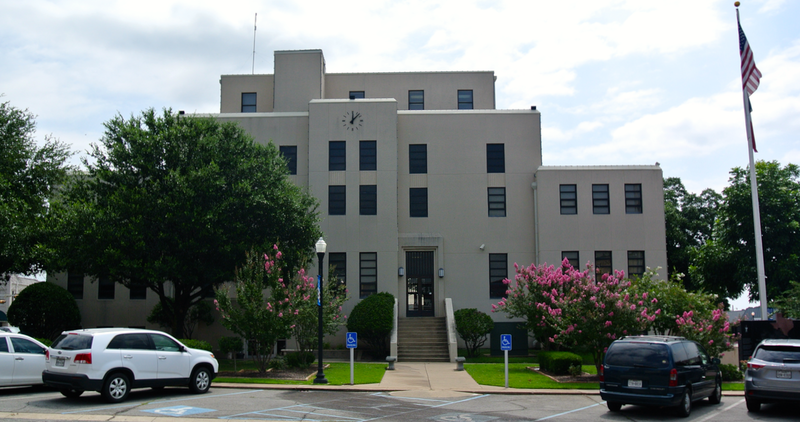 The courthouse is another in this region that is also not in the typical square setting. 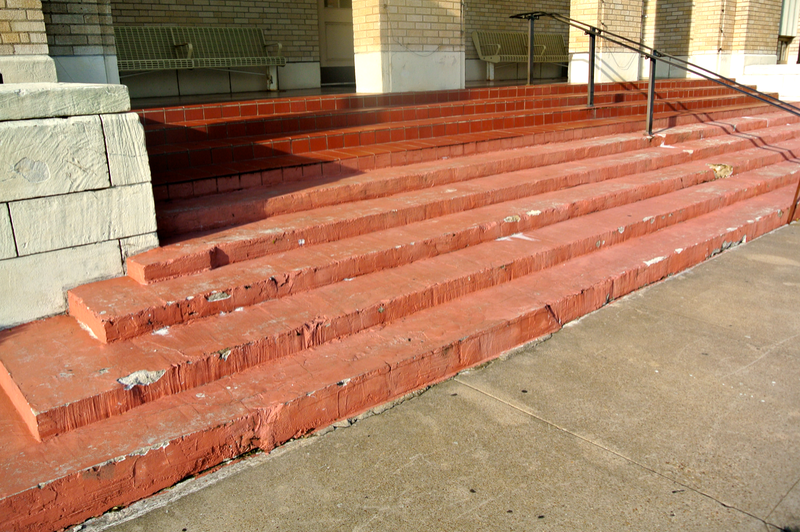 It is located just north of the “main stretch” in Pittsburg, the street running through the historic downtown. At one end of this road stands a large set of silos, presumably owned by Pilgrim’s Pride, a chicken company in the area. Most likely, the company stores all chicken grain here, while the chickens are kept elsewhere. Between Daingerfield and Pittsburg, we saw a few chicken barns and wondered whether or not any of them were associated with the company. 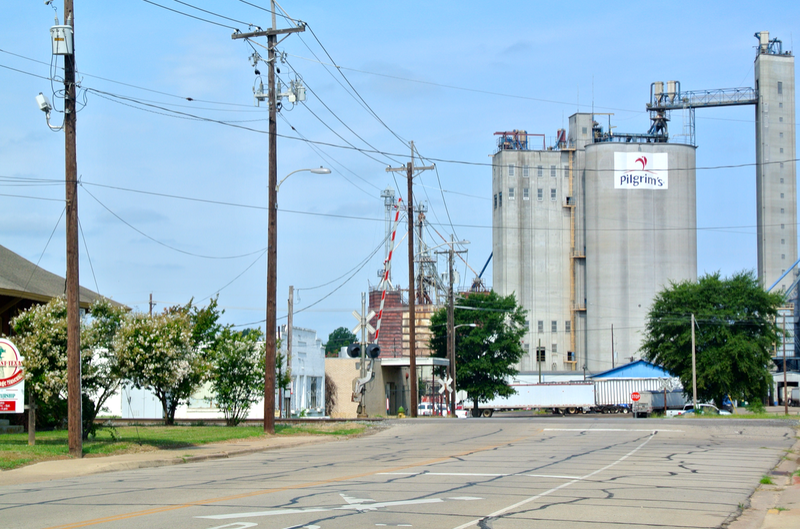 On the drive north from Pittsburg, to Mount Pleasant, we discovered the large processing plant, approximately halfway between the two cities. 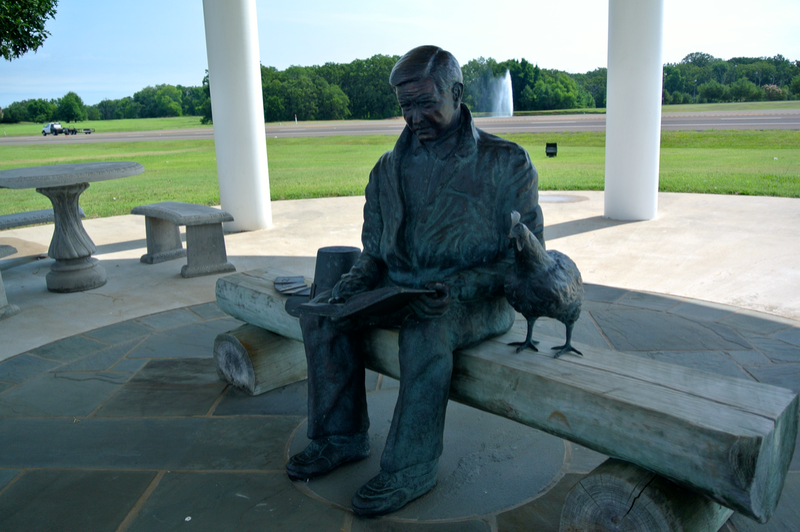 A memorial to the founder of the company, Lonnie “Bo” Pilgrim, is a roadside attraction that I wanted to stop briefly at to get a few pictures. 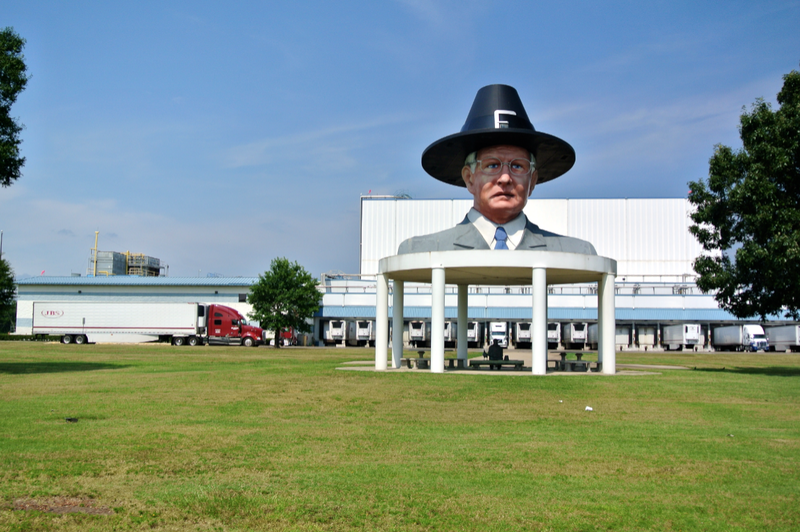 It’s not every day one sees a giant pilgrim bust off the side of the road. The distance between Pittsburg and Mount Pleasant is not extreme, and we were soon there. It was getting close to lunchtime, and as we pulled into the city square, a restaurant caught our eyes. 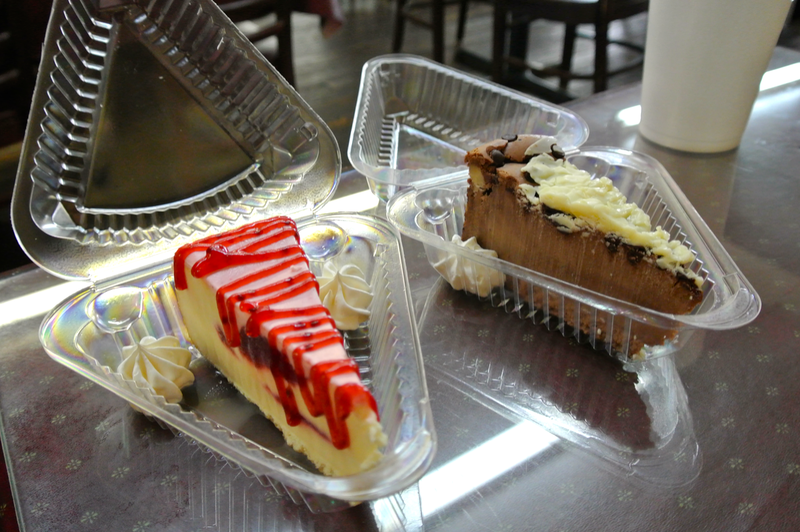 And of course a trip to Laura’s Cheesecake and Bakery would not be complete without a bite of cheesecake! 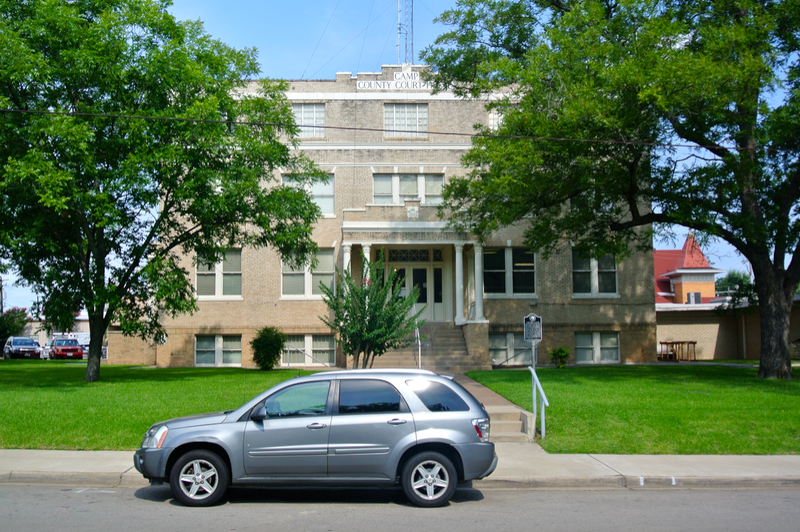 The Titus County Moderne courthouse is directly across the street from Laura’s. 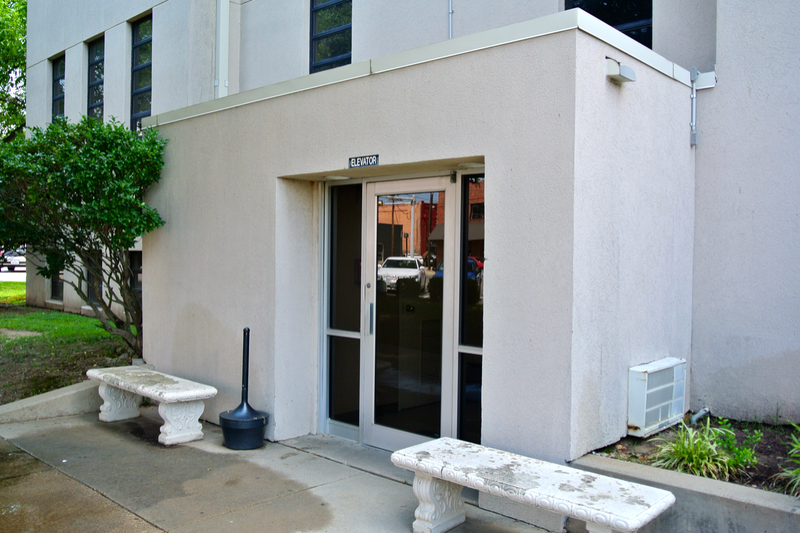 I discovered while walking around this courthouse that it too has an elevator shaft with an external entrance, just like the one I saw in Lipscomb County. I wrote about it in the blog post, Panhandle Round 2 Day 2. At the time I visited Lipscomb, I thought that this was the only courthouse that had one of these. Turns out I was wrong. 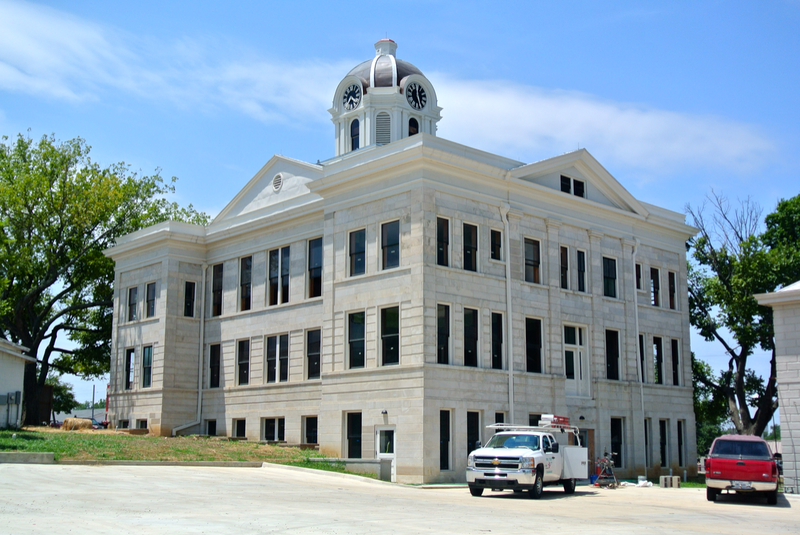 The final new courthouse of the trip was up ahead, in Mount Vernon, the seat of Franklin County. I’m interested in the proximity of cities Mount Vernon and Mount Pleasant. I’d be curious to know if there was some reason for them both being named “Mount ______”. Further research will let me know. I’d also be curious to know if Mount Vernon was named for George Washington’s famous home. I’ll be sure to include that information in the Franklin County page whenever I make it. The courthouse in Mount Vernon was one of my favorites of the trip. The problem was, it was under restoration! 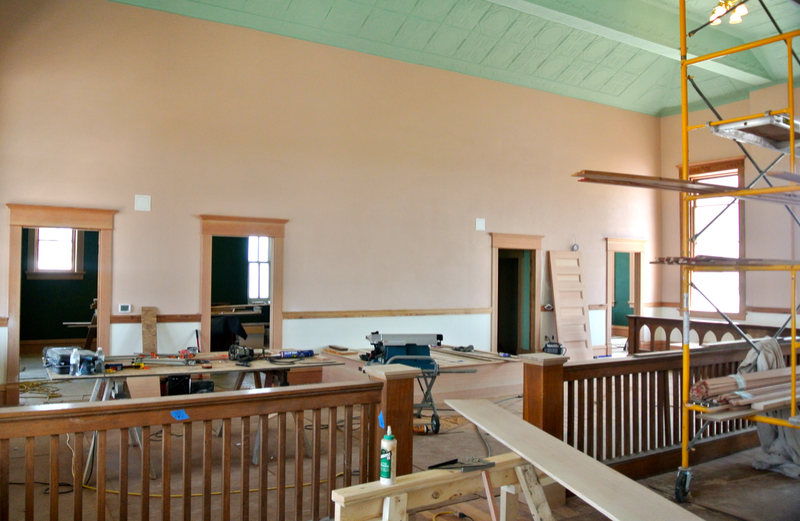 Fortunately, we pulled up to the courthouse (located off to one side of the square, and not in the center), right as many of the restoration workers went out to lunch. This gave us the chance to peek our heads in and take a few pictures before they returned. 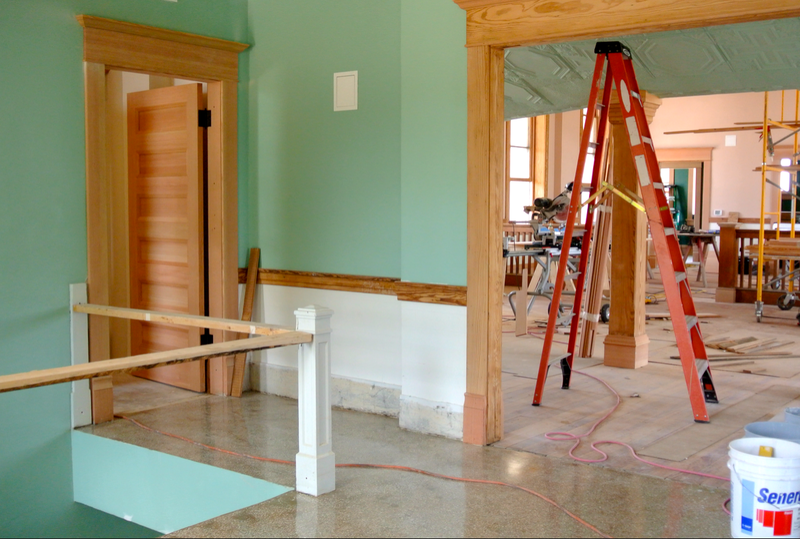 Here are some views of the second-floor courtroom, obviously under construction. 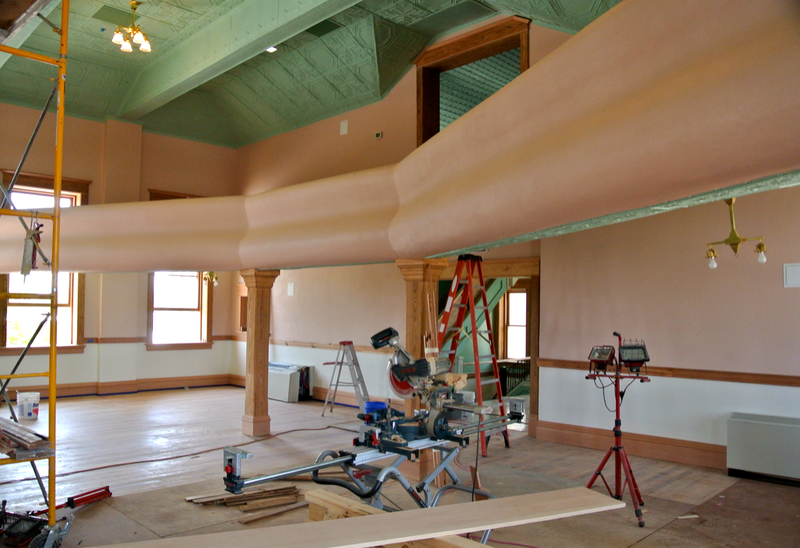 You can tell, though, that when it’s finished, it’ll look great. We exited the building to complete photography on this courthouse and the Mount Vernon square, and soon we were gone, leaving this charming town behind. We were now back into semi-familiar territory. 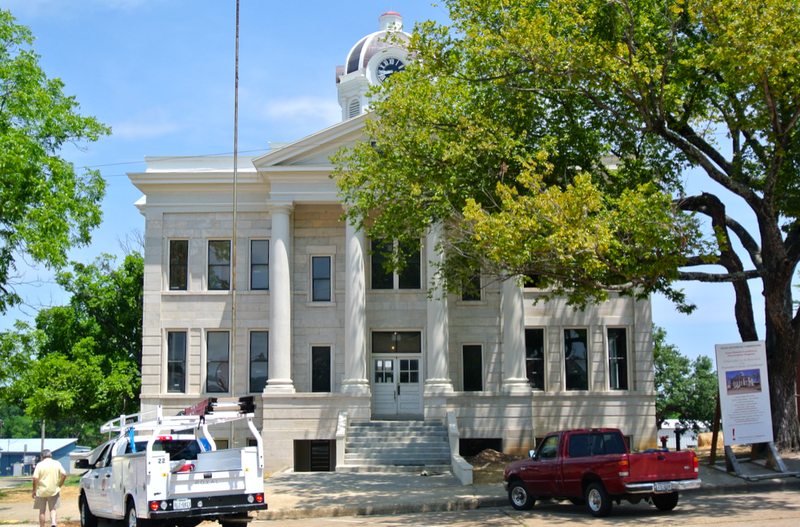 With Franklin County behind us, we entered Hopkins County, location of one of our favorite courthouses. The J. Riely Gordon design here dominates Sulphur Springs in every sense of the word. I first visited it in January 2011, and revisited it in December 2013, but now that I had an actual camera, I wanted a few more pictures. 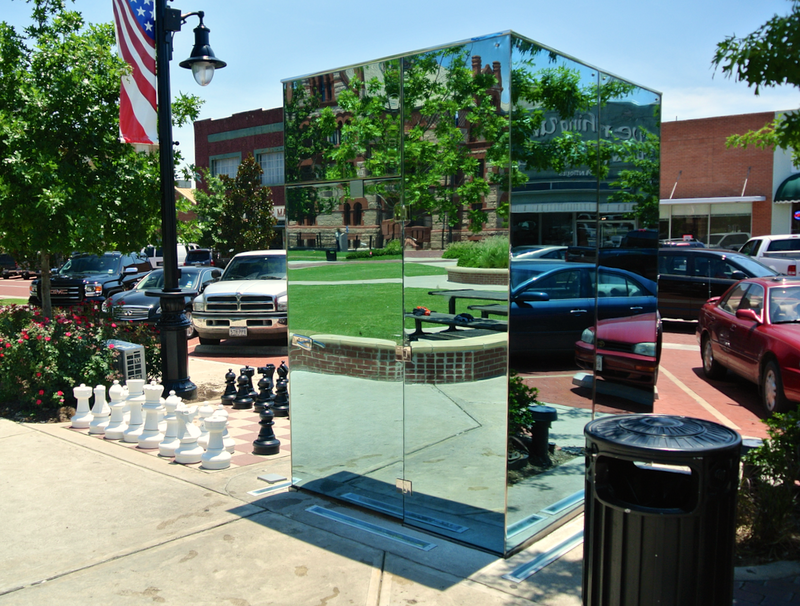 Also, I couldn’t resist “trying out” the one-way glass public toilets that Sulphur Springs has become known for. They’re just past the courthouse on the town’s square. In the summertime, this plaza-like public area is a popular destination for children. The city has installed a splash fountain in order to help people beat the nearly unbearable Texas summer heat. It sure looked like they were having a good time. And so was I, except my kind of fun was being able to revisit this beautiful building. On my revisit in December, I wasn’t able to enter the courtroom…and that was still the case now. 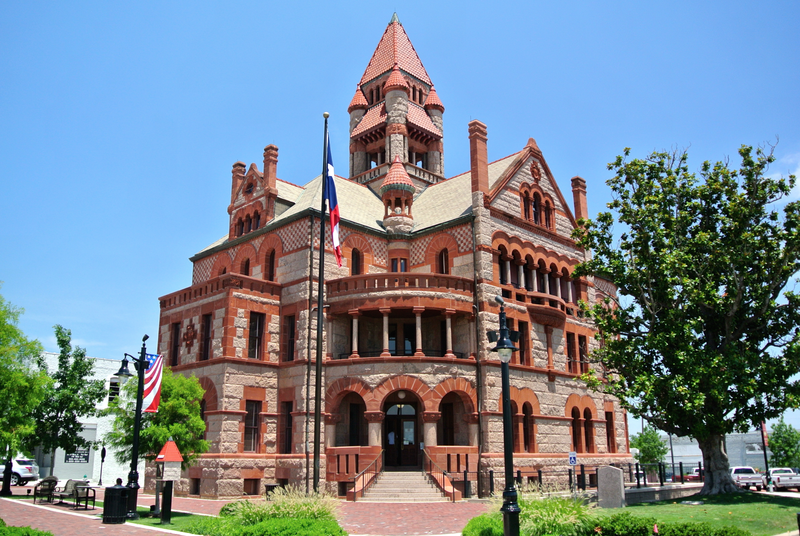 Unfortunately, an actual trial was taking place when I stopped by Sulphur Springs. That’s pretty unusual. I have not been to many courthouses where court was taking place…period. But when that has happened, it’s mostly been commissioner’s court. To see an actual trial court taking place reminds one of the original purpose of these historic buildings. I was glad I stopped. Although this trip has drawn to a close, that doesn’t mean the “courthouse mode” in my mind has. At the current point in the summer, I believe I can squeeze in two more trips before having to return to school. Stayed tuned.